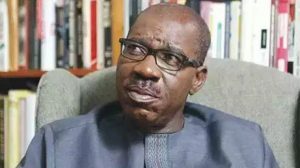 The Peoples Democratic Party in Edo State has opposed the N7bn allegedly allocated to Governor Godwin Obaseki for foreign trips in the state’s 2019 budget. The state chairman of the PDP, Chief Dan Orbih, said this a during a campaign rally held on Friday in Ikpoba-Okha Local Government Area of the state. He described the travel allowance as a misplaced priority. Orbih alleged that Obaseki legitimised corruption under the guise of attracting foreign investors to the state in the face of worsening economic challenges.